Colonial sophistication, Mughal grandeur, street food, traffic jam, summer heat, winter chill… each of the Delhi attractions has been endlessly eulogized, recounted, recommended or ridiculed depending on its individual merit. Of course these clichés have become so for a reason but what to do in Delhi if you have already seen it all? What if you are on your 5th trip to the city? The good part here is that Delhi sightseeing is NOT limited to the Red Fort, Qutub Minar, Humayun’s Tomb, Lutyen’s Delhi and the Old Delhi. As a matter of fact the Old Delhi or Shahjahanabad is one of the newer settlements. Over the last few months, as a newbie in Delhi, I have forced myself to explore various monuments, ruins, markets, forts and cemeteries beyond the must do tourist attractions in New Delhi suggested by the tour guides. This is an attempt on my part to list out some offbeat Delhi gateways that may be useful in case you are looking to do something different. Please note that most of them are Historical attractions and if antiquity does not interest you then this may not work for you. Delhi has been the political epicentre of India for over a millennium now. But this region has been a seat of major civilizations since the prehistoric times. Under those layers of Mughal, Pashtun and Rajput constructions lay further layers of unknown and unexplained history. One of the best examples of the same is the Purana Quila, which is a generally well known 14th century archaeological complex. But in the 1950s, an excavation near the fort found artifacts of a far distant past. These Painted Grey Ware artifacts date back to at least 1000 BC and this excavation site is probably the best way to start a date with Delhi in a chronological manner. This can be followed up with a visit to numerous Ashokan Pillars (~300 BC) scattered across multiple locations in Delhi including Feroz Shah Kotla, Greater Kailash and Delhi Ridge. The small museum in Purana Qila has good information about them. If you liked Old Delhi, then you must try out this even older part of Delhi. Of course the immaculately maintained Qutub Minar complex is known to all. But I am talking about the living “urban village” of Mehrauli, which hosted the earliest cities of Delhi founded by the Rajput Kings and the Slave Dynasty that unseated them. The Qutub complex and the adjacent Mehrauli Archaeological Park has made an effort to protect the major clusters of these monuments. But there are far too many of them scattered throughout a large, densely populated locality. Even walking through those narrow alleys and locating them amidst modern day apartments and shops is an interesting exercise. Some of the major monuments you can look for include Zafar Mahal, Jahaz Mahal, Madhi Masjid, Gandhak-ki-Baoli, Hauz-i-Shamsi etc. For more details do read this excellent blogpost on Mehrauli. Also, there are monuments like Sultan Ghari, that are slightly away from Mehrauli but from the same era. The Dargah of Nizamuddin Aulia is the place where everyone goes for a soul stirring Sufi experience in Delhi and rightly so. But it is not the only one. Aforementioned Mehrauli boasts of the Dargah of Bakhtiyar Kaki, the oldest of all the Sufi shrines in Delhi. Drop in here for dose of Sufi Music on Thursday evenings. You can also visit the Ashiq Allah Dargah on the edge of Mehrauli and almost inside the forests or the Chiragh Dilli near Greater Kailash. All these shrines have interesting myths and anecdotes associated with them. Jahanpanah is one of the older cities of Delhi built around 14th century by Muhammad bin Tughlaq. As of now it is a completely residential area with several monuments in various states of preservation scattered over the present day localities of Malviya Nagar, Kalu Sarai, Begumpur etc. Try to locate the Lal Gumbad, Begumpur Masjid and Bijay Mandal. On the other hand Tughlaqabad us located further south and it was also contributed by the same dynasty. Tuqhlaqabad is a better known, gigantic construction. But as a quick detour, also check the Adilabad Fort nearby. Popular history is often sugar-coated with epic love stories and anecdotes of genial monarchs prevailing over tyrants. 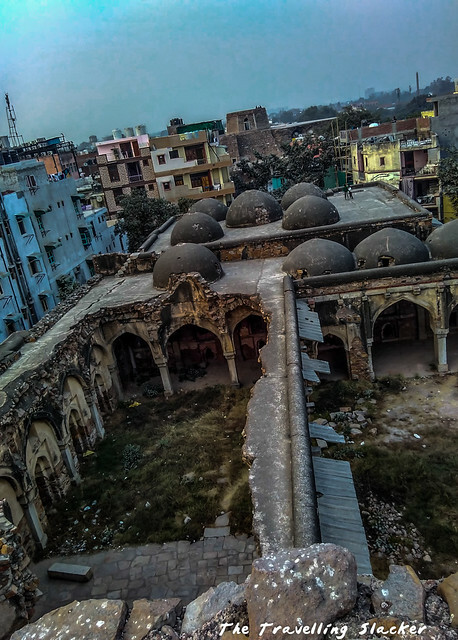 But if you have the stomach for the grotesque and the tragic, explore the trails of the mutiny of 1857, the first big uprising against the British that eventually turned out to be the last nail in the coffin of the already decadent Mughal Dynasty. Most of the vestiges related to this gory period are concentrated around the Kashmiri Gate area, which now serves as a bus terminus as well as a major metro station. Check out the bullet marks on the gate and the walls. Go through the list of soldiers who laid down their lives engraved on the Mutiny Memorial, learn about John Nicholson’s story at the cemetery named after him, check out the remains of the British Magazine and of course do not forget to visit the likes of Khooni Jheel (Bloody Lake) and Khooni Darwaza (Bloody Gate) to find out why they are called so. You can also explore other vestiges of the Raj such as the Coronation Park. The Nilgai or the Indian Blue Bull is the largest antelope species found abundantly in India. What is interesting is that amidst all the deforestation and extinction of other species, this one has somehow held its own even in a highly populated city like Delhi. They mostly live in the reserved forests of the southern part of the city but can also be seen roaming on the streets in search of food. You can spot them in the bushes near the Jawaharlal Nehru University, inside the reserve forests of Sanjay Van and also near the Tughlaqabad Fort. Delhi weekend outings are now complete without a trip to its reserved forests. 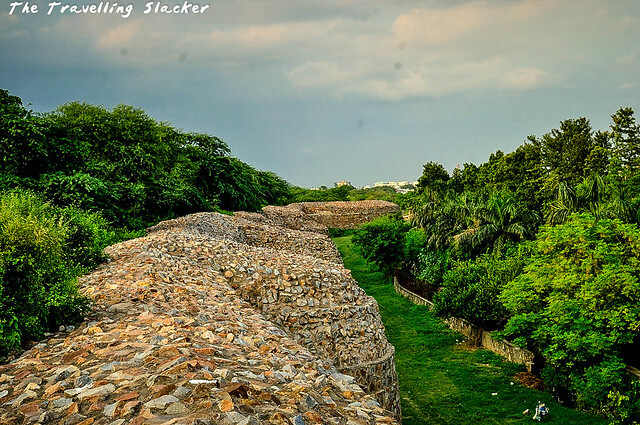 They are not only the lungs of Delhi but they also possess many hidden gems that you can uncover. For example Sanjay Van in Mehrauli swallowed up the remaining walls and bastions of the old Rajput city called Qila Rai Pithora. Similarly, the central ridge near Chanakyapuri contains an allegedly haunted, Lodhi Era building called Malcha Mahal as well as the small but serene Dargah of Moluddin Chisti. The Kamala Nehru Ridge up north contains some Colonial Era relics such as the Flagstaff Tower and the aforementioned Khooni Jheel. Read the story of the haunted house here. Weekly markets are a regular feature in the villages and provincial towns of India. But while other metropolises in India have embraced the swanky malls and supermarkets, most parts of Delhi have maintained their old worldly charm through these markets that conjure out of nowhere once every week. Such flea markets sell everything you can imagine and this is where you get a feel of the hinterland right at the heart of the capital. Watch out for the Sunday bazaar near Jama Masjid in Old Delhi, Monday market at Karol Bagh, Wednesday market at Govindpuri, Thursday Market at the historic Masjid Moth, and so on. Check this post for more traditional shopping options in Delhi. If you are in Delhi with your companion, then also Shopping is a great way to explore and relax together. Here is another list about best things to do for couples in Delhi. Delhi boasts of quite a few Gardens. Mughal Garden, Lodhi Garden and Deer Park are quite famous among them. But there are several others of various sizes, mostly built around already existing archaeological sites. So, while jogging through them, you are likely to stumble upon forgotten monuments and ruins that capture your imagination. Try out Roshanara Bagh, Qudsia Bagh, Shalimar Bagh and Sunder Nursery. Check this link for a better write up on Sunder Nursery area. This is actually a large palace in Chandni Chowk. But the surroundings have grown in such a congested manner that it is hard to imagine the original glory of the palace that used to be surrounded by spacious promenades and gardens. It was originally owned by Begum Samru, a Kashmiri woman who married a European soldier and grew in prominence during the early days of the Raj or for that matter during the last days of the Mughals. Her story is enchanting and once there was a Bollywood biopic being planned (Although I think the project was shelved). Anyways, now the lane by the side of the Bhagirath Palace houses a lights market full of white goods. It comes alive after dark as the chandeliers and other items start glowing. It is a good place to try your hands on low light photography, if you are serious about the craft. You can find more details about Begum Samru in this post. Yes, there are jungles near Delhi and they are not overrated like most other things around big cities are. I have seen more birds in one birding trip near Delhi that I had seen in my entire life in many better known national parks. However, this activity is not suitable all the time. 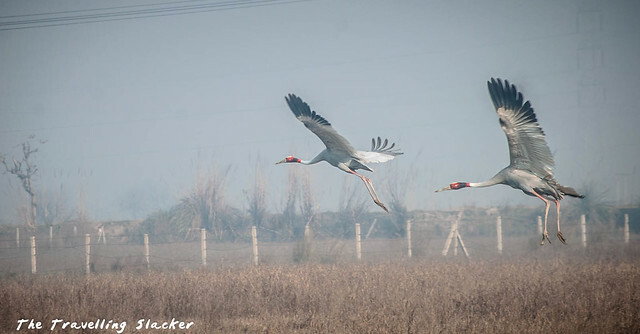 Winters are the best time when you can spot migratory birds as well as black bucks and other animals. So, is this a comprehensive list? Of course not! As a matter of fact, Delhi can look different to different people according to their perspectives. 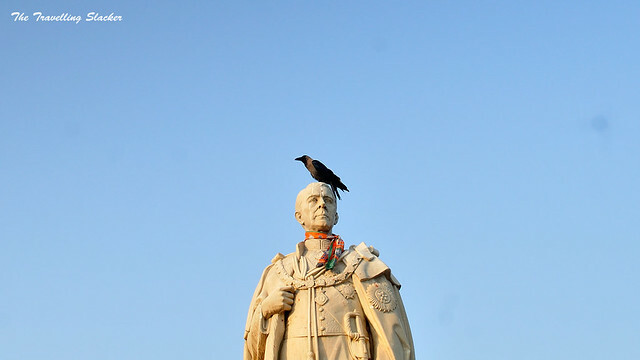 For instance, try out this blogpost to understand a foreign visitor’s perspective of Delhi. Nevertheless, there are many other places to see in Delhi I keep stumbling on new attractions every day. But I hope this encourages everyone to explore beyond the obvious. I will probably make a second list. Do drop in a comment in case you have suggestions… or brickbats for that matter. While there is no dearth of hotels in Delhi, trying using these Airbnb Coupon Codes to discover to find delightful homestays for authentic experiences. I love going offbeat as much as I dislike cliched choices. I will keep adding more offbeat ideas from popular Indian destinations as I find them. Nice account of Delhi. I have lived there for a decade, but failed to explore so many gems. Thank you Jitaditya. This is my favourite of all your articles so far. Nice article Jitaditya. Keep writing. I feel like getting stationed in Mehrauli for a week or so and follow your tips. Wonderful Info. I went to Delhi many years ago for work and enjoyed. Your pictures have definitely made me want to go back. This is completely different post on Delhi and I loved it because hidden gems and off the beaten track itineraries are my all time favorites. It’s not always easy to escape the tourist-trail and avoid clichés when travelling, but it’s really worth it. A real discovery and authentic travel is made this way. I simply liked the freshness of the post. Delhi is such a pulsating city where history juxtaposes with the contemporary. It is easy to overlook some wonderful experiences in favour of the more hyped ones. Your post is a refreshing as it presents a new perspective of this historic city, beyond the cliches. These are untold and unpopularised yet. Very well collected and presented. I like such off beat things in a new place. I have to confess I avoid delhi like a plague. so it is refreshing to read this. the photos are beautiful and made me rethink my feelings about the city. it’s great that you focused on the best parts of the city. i knew there is some hidden aspects to this city. one just needs to dig further. I never imagined Delhi to look like this but obviously I have underestimated this place. Thank you for sharing your point of view and images! Some of them are really stunning! I like the 6th one from the top the most. Stunning Architecture. I would love to talk a walk through that forest. Thank you for sharing the hidden gems that you have found. We like straying off the old beaten path as well. You just never know what you will find. You have some stunning photos there man! Just quite feel bad that I did not include Delhi on the list as I made a research about travel destinations in India. Thanks for this post! Great list! So much detail. I think the gardens you pictured look beautiful! I feel like I was given a private tour in Delhi, all thanks to you blog! History lovers would for sure love Delhi especially its many things to offer. I prefer going to nontouristy places as well and walking in the jungle, exploring the wild and even the Blue Bull sounds cool to me. Learning about Sufism is nice as well! Great ideas suggested, they all seems like lovely things to do off the beaten path! The market is probably my favourite option of these. I love markets in general especially if they are authentic because this brings a certain charm. It is also the best place to get to know the culture, traditions and observe the people. I would love to try some food if they are selling or simply get spices and herbs. We have been to Delhi and have explored the major attractions which are fascinating and intriguing and yes we can visit them again such is the grandeur of the history and heritage of our capital city. 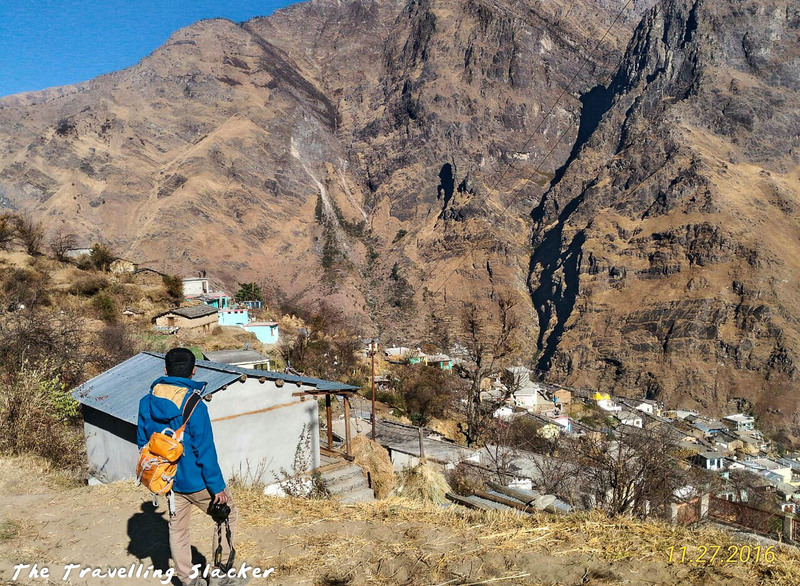 We did not know there were so many other off beaten and lesser known places too which have know been added to our wishlist too. Bookmarking this post for the next time we make a visit to Delhi. I haven’t been to Delhi, but from the looks of it – it seems amazing. I love the photos, and it shows so much culture around the city. Hopefully I get to explore it soon, I’ll take note of your tips. Thanks for your recommendations and tips! I want to visit Delhi for so long and this off-beaten places looks very interesting 🙂 pics are definitely awesome 😉 best! Wow these reccomendations are surely not something you’d find in a Dehli guide book! Or even just a basic blog post. Well done! I would love to go spotting Nilgais! I love these kind of “off the beaten track” recommendations and you certainly have collected a great collection of lesser-known sights in Delhi. And as someone who likes to consider themselves as something of a History buff, I really am intrigued by retracing the Raj. Certainly, as a British citizen, this is a chapter of history we don’t often hear much about and it’d be great to understand it from such a different perspective. I must also say, I really enjoy your style of writing, it is wonderfully engaging. Keep up the great work! Super super! The more I see Delhi, the more I fall in love with it. This is a wonderful write up and a lovely list. So good someone wrote about this. I was bored of visiting and reading about the same old monuments of Delhi. It is a refreshing post. I didn’t know about the trails of the mutiny of 1857. I recently visited Residency (again) in Lucknow and it renewed my interest in the mutiny. Wow! So many great recommendations. I absolutely love visiting flea markets! There are always such interesting objects to be found there. The culture and vibe of the city seems fantastic, with such a diversity of activities to do, animals to see, and history to learn! My favorite part about reading blogs is learning things I didn’t even know enough to ask about. For a long time, raj was only a word I used in scrabble. Only recently, have I learned the difference between Old Delhi and New Delhi and that there is a real Red Fort in Delhi. Now, I am starting to learn the offbeat things as well. Thank you so much for sharing. Delhi is ‘Dil’ of India and from your blog it looks so rich in history from centuries and centuries. I liked the description of sufism which rarely people talks about it. You mentioned it so beautifully with the pictures. I have seen famous places of Delhi but some places which are mentioned in your place are unknown to me. Thanks you updated our knowledge. cool list of more off beat gems. I am thinking of visiting Dehli next year and have been looking for what there is to do in the city, this list is a little different from all the others that i’ve read so thank you! Such a great list of off the beaten path ideas. The jungle walk looks amazing and not your typical hike. The amount of and diversity of history is fascinating. What a refreshing read! Something completely different and I haven’t seen a comprehensive list like this before! Wooohooo! Love flea markets and can’t wait to visit. This is very interesting! I thought Delhi is just full of crowded places only. You have featured beautiful historic sites. I am sure that a lot of tourists are also eager to see these. 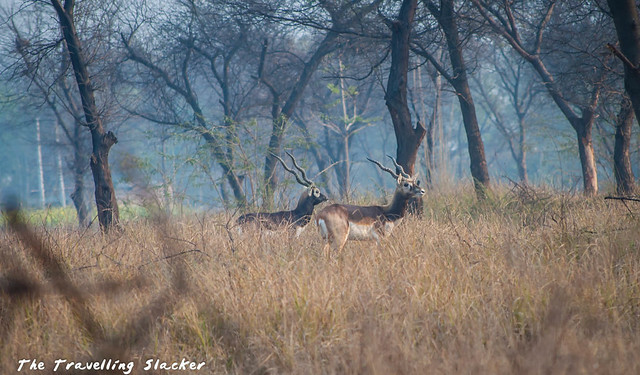 I did not expect that there are wildlife tours in Delhi too. I’d like to visit Delhi someday. India is definitely on our radar, but it’s probably just a little way off at the moment. In the meantime, I enjoy reading articles about it and articles such as this which goes into a little bit more detail about some of the lesser known things to check out. I particularly love the markets so would be including those. I’d be interested to hear of more of your thoughts around the food markets as I think food is one of the areas of Indian travel that potentially gets a bad wrap but then there is also not a lot of detail around eating like a true local either. This is such a comprehensive guide and so well written. I love that you just taught me so much more about Delhi than I knew. I think Jahanpanah would definitely be somewhere that would be top of my list of all of the places you mention. As an Australian, seeing something built in the 14th century is always so incredible in terms of history. It looks so interesting. Never been to the capital. You have covered the most off beat locations in Delhi. Loved the post. Thank you for showing this side of Delhi. I love the stunning architecture all around the city. I like how you shared so many offbeat things to do for those who are not familiar with Delhi. We are yet to visit India, but I really enjoyed getting some ideas from your post! Madhi Masjid looks really beautiful, and I can imagine losing time from gazing at the intricate walls and ceilings. I’d also really enjoy visiting the historic gardens and admiring the hidden monuments within. Thanks for the inspiration! Delhi is on my list, sadly it has been on my want to go list for way too long. Thank you for this guide of must sees, such beautiful buildings to be discovered. The weekly flee market has my name on it, and the jungles! So much to see and do. It’s really nice to hear about parts of Delhi that aren’t the Red Fort, Qutub Minar, Humayun’s Tomb, Lutyen’s Delhi and the Old Delhi. Don’t get me wrong, I plan to visit these places too, though they seem to be the only thing anyone ever talks about. I love that you made the effort to discover parts of Delhi which aren’t in the guide books. Really interesting to hear that Mehrauli is older than old delhi. The monuments here look quite fascinating. Also really interesting to read about the mutiny of 1857 – you’re right, we only ever really hear love stories and legends from India, though I have no idea about the uprising that ended the Mughal Dynasty. bullet marks on the gate and the walls from 160 years ago – crazy! The jungles, flea markets and Night Photography at the Bhagirath Palace Lights Market sound like great attractions also. I do NOT “have the stomach for the grotesque and the tragic” but exploring the trails of the mutiny of 1857 sounds like an incredible history lesson. I have an affinity for all things history related and if it’s accompanied by ancient ruins, all the better. I think I would start my time in Delhi by seeing some of the wonderful architecture then explore the trails and follow that with something light and fun like the weekly markets. Specifically, the Sunday bazaar near Jama Masjid in Old Delhi looks like it has a lot to offer and I could find some fantastic souvenirs to take home. These are all wonderful suggestions on what to do in Delhi! This is exactly the post that I am looking for. I always wanted to try out the unexplored or lesser known parts of Delhi but was at a loss of how to find them all. I have bookmarked this post for the very reason. I am going to take one per trip and explore it each time I head to Delhi. Thank you so much for this . A beautiful and very informative post. I am going to explore the places soon . A very useful and informative post, and also the pictures are so beautiful. My love for Delhi and wish to visit the city increases after seeing this.